University of Edinburgh/RBGE student Kimberley Fackler, studying for the Masters degree in the Biodiversity and Taxonomy of Plants; thesis submitted August 2013. Supervisors: David Bell, Dr David Long and Dr Laura Forrest. Kim sampled from the six species of Metzgeria generally recognised to occur in the UK. She used standard DNA barcode markers rbcL, matK, psbA-trnH and ITS2. DNA barcoding for all regions but rbcL delimited seven genetic lineages of Metzgeria within the UK. 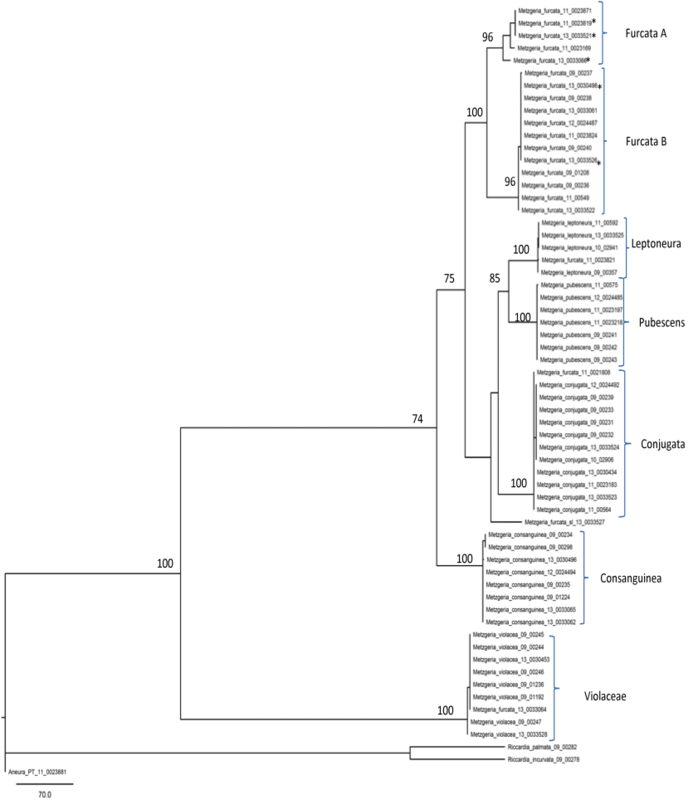 There was a lower amount of sequence variation in rbcL, suggesting that it is suitable for use at a higher taxonomic level than this genus. Six of the genetic entities correspond to the current species concepts in Metzgeria. 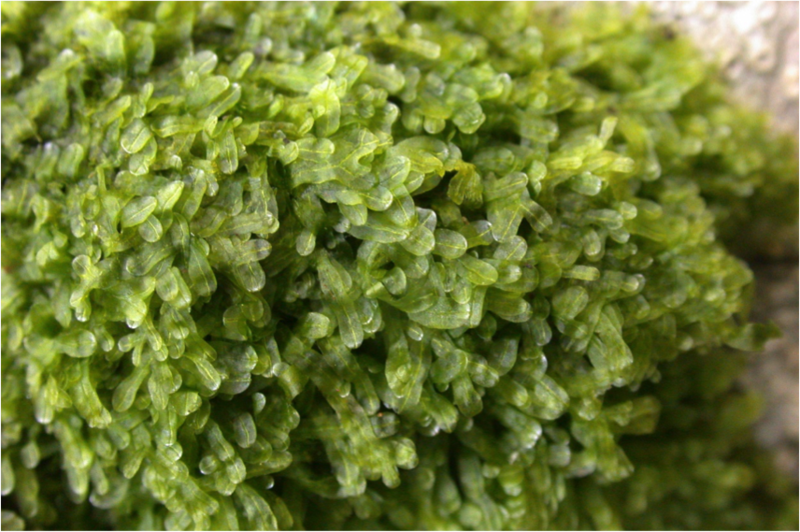 Metzgeria furcata was split into two sister groups, in line with the findings of Fuselier et al. 2009; these two groups may correspond to variety ulvula and variety furcata. Conservation implications: If lineages do not have names, they have no legal recognition, no protection, and we cannot gather information about their rarity or distributions.